What’s for Dinner Doc? 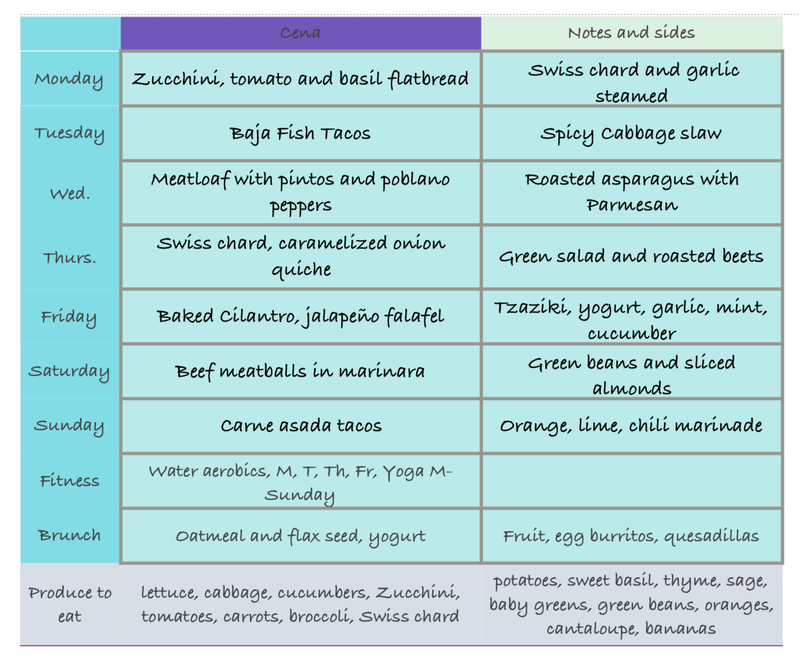 A Weekly Menu – What's for dinner, Doc? 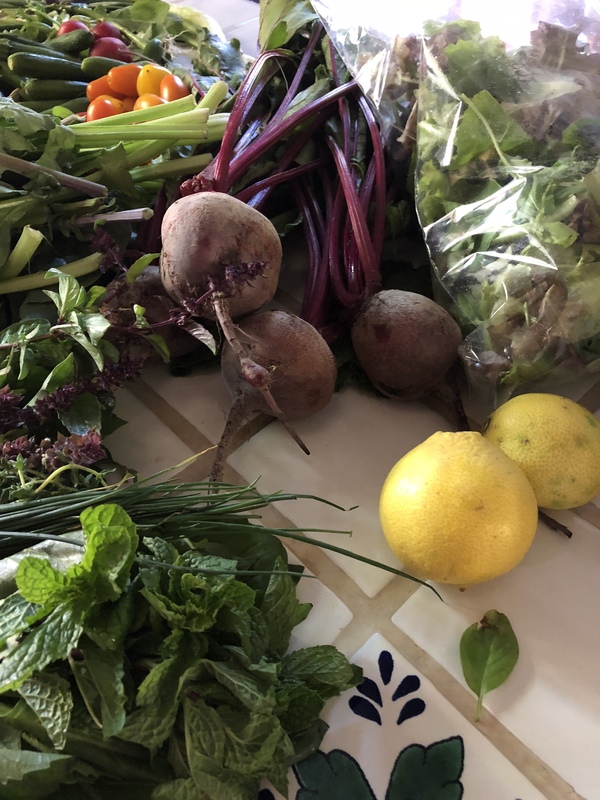 CSA's, Healthy Eating, La Gringa Weekly Menu, South Beach Diet, What's in the box? I can’t believe that December is upon us. I’m watching snow videos sent from Nevada while enjoying mild temperatures in Baja. I do miss a good blizzard but only if I don’t have to go anywhere. I hope my menu gives you a few ideas to try this week. Planning is everything when you’re committed to eating a varied and healthy diet. I’ve included 3 vegetarian meals, one fish taco recipe and some lean beef meals. Buen provecho, enjoy your meal and get outside for some fresh air and exercise. Baja Fish Tacos in beer batter with spicy slaw: She uses cod but cabrilla, sea bass or red snapper would work well. Serve with pinto beans and rice. Combine 1 pound of ground beef, 2 eggs, 1/2 cup bread crumbs, 1/2 cup chopped fresh cilantro, 1/2 teaspoon of salt and 1/4 teaspoon ground black pepper. Microwave 1/2 cup chopped green onion, 1 diced poblano pepper, 1 cup finely sliced Swiss chard for 2 minutes. Drain any liquid. Add to the meat mixture and combine. Top with ketchup and sliced peppers. Bake in an oiled loaf pan at 350 degrees for 1 hour until the internal temperature is 160 degrees. The poblanos were delicious in this Mexican meatloaf. Baked Mexican Falafel: Serve with tzatziki: yogurt, garlic, cucumber, mint and cilantro. Carne Asada Tacos: Beef marinated in citrus and chilies. I use thinly sliced beef sirloin which cooks in 5-7 minutes on the grill. Looking for vegetable side dishes? Check out my popular Pinterest Boards. Next Post BrightLine Eating, Getting Sugar Out of My Life, Can I Do It? These look wonderful! Definitely will be trying a few of these!